Lee Fields is the rare retro-soul star who has been recording music for decades. If you’ve heard of the Norwegian death metal band MAYHEM, there’s a good chance it’s not because of their music. In spite of the outfit’s twisted history of violence, MAYHEM paved the way for death metal musically as much as symbolically. And more than two decades after its release, MAYHEM is revisiting their infamous debut album, “De Mysteriis Dom Sathanas,” in full, on the road, offering fans a chance to relive one of the genre’s first tomes. 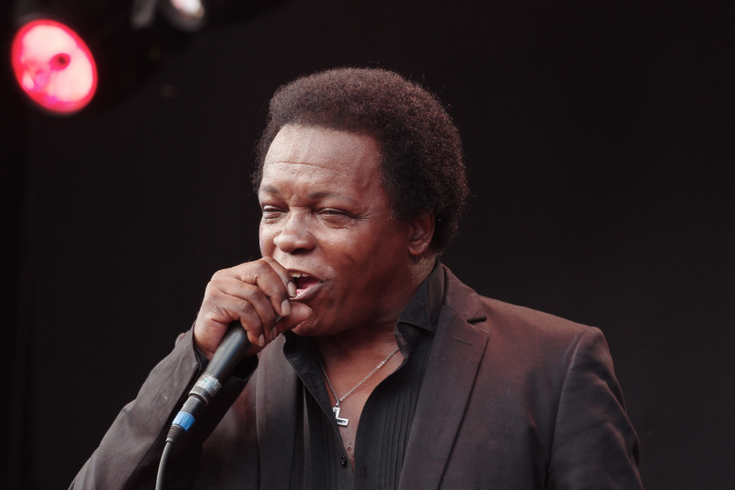 Lee Fields is the rare retro-soul star who has been recording music for decades. But the recent resurgence of deep, gritty funk has granted Fields a second wind: Now in his mid-60s, Fields has been cranking out stellar albums with musicians half his age since the early 2000s. Most recently he released “Special Night,” an album that is syrupy but never sappy and entirely soulful throughout. Eighteen-year-old Atlanta rapper Kodie Shane, a major-label upstart associated with Lil Yachty’s burgeoning crew, has a slurred and perpetually melodic approach to the microphone. Shane’s industry allure may be in her ability to write a hook, but even in her verses, she’s constantly switching flows and interjecting with quirky ad-libs, piling on and tossing away good ideas as they come and never dwelling in one place for too long. Put aside the name, which Chicago punks Meat Wave may never be able to fully explain or escape, and dive into the music, and you’ll find that the trio’s engine never stops. Their debut album, 2015’s “Delusion Moon,” sounds charged up and aggressive and certainly spits out more sound than you might expect from three people. Their new one, “The Incessant,” delivers on that same initial promise. Ten years ago, the Buffalo punk band Lemuria released their debut album “Get Better,” a record that looked back and mined ‘90s nostalgia for a peppy, poppy introduction. Late in 2016, the quartet announced a reissue of that album and an extensive tour in which they’ll be playing “Get Better” all the way through. Now in her early 40s, the New Jersey emcee Rah Digga spent her early career mingling with legends. That’s Digga trading bars with Lauryn Hill on The Fugees’ late ‘90s hit “Cowboys,” and it was Busta Rhymes who scooped her up for his Flipmode Squad crew not long afterward. Digga never made her deserved splash in the industry, but she’s also never let up, and she’s earned herself rare career longevity as a result. One-half of the now-defunct (and much-missed) hip-hop duo Das Racist, the Bay Area rapper Kool A.D. has been on a prolific tear for the last couple years. But his persistent output lurched in 2016 with a stunning 10 full-length projects, some of which scanned more like rough drafts than fully formed ideas. But the upshot is that Kool A.D. doesn't throw anything away, and most fans are just thankful that there's so much to pore over. The West Philly rapper Chill Moody is a constant presence in his hometown, where he's been churning up buzz for years with his own savvy self-marketing. Chill has branded his own craft beers, stamped his logo on shoes and watches and has the type of quiet buzz that landed one of his songs on ESPN last year. He's also squirming his way into politics as a musical ambassador of sorts, but his starting point and perpetual zone is on stage, which he'll return to this weekend at Underground Arts.